Posted by Ali Kane on Thursday, January 17th, 2019 at 2:02pm. Every day, the Café des Beaux-Arts at the Flagler Museum in Palm Beach offers an afternoon tea which features a large array of refreshments, delicacies, entertainment, and of course tea. 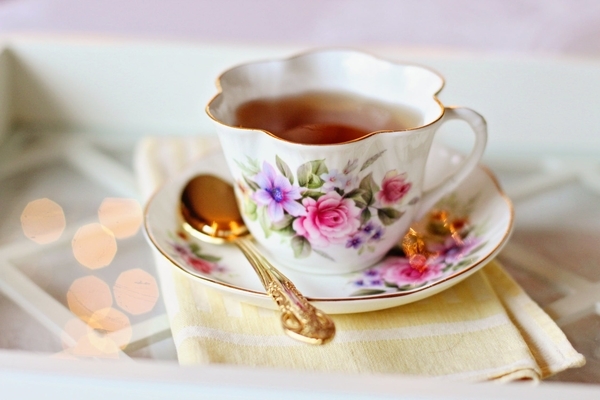 Guests can enjoy a nice cup of tea with a selection of traditional scones, sweets, and gourmet tea sandwiches served on the homes exquisite Whitehall collection china. The café is located within the historic Palm Beach estate in the elegant Flagler Kenan Pavilion, with views of the Intracoastal and downtown West Palm Beach. Reservations are strongly recommended. Reservations can be made by calling 561-655-2833 or by clicking here. The café serves a prix-fixed menu and no changes or substitutions can be made. To view the menu, click here. The café is open now until April 21st, 2019, 11:30 am to 2:30 pm Tuesday through Saturday and 12 pm to 3 pm on Sunday. The cost is $22 dollars for museum members and $40 dollars for non-members, and includes tax, gratuity, and museum admission. The historic museum was once home belonged to Henry M. Flagler, an American industrialist who gifted the home to his wife Mary as a wedding gift. The two used the home, built in 1902, as a winter retreat in Palm Beach until Flagler’s death in 1913. The home, Whitehall was left to the couple’s niece who sold the property to investors that transformed the beautiful mansion into a hotel from 1925 to 1959 that housed many politicians and famous people while they stayed in Palm Beach. Whitehall was restored and saved by his granddaughter in 1959 and now the home is a museum that we know of today. Tickets are required for admission to the museum and can be purchased online or at the museum. Audio tours, Guided tours, and printed self-guides are available and included in the price of admission. The museum is located at 1 Whitehall Way in Palm Beach.